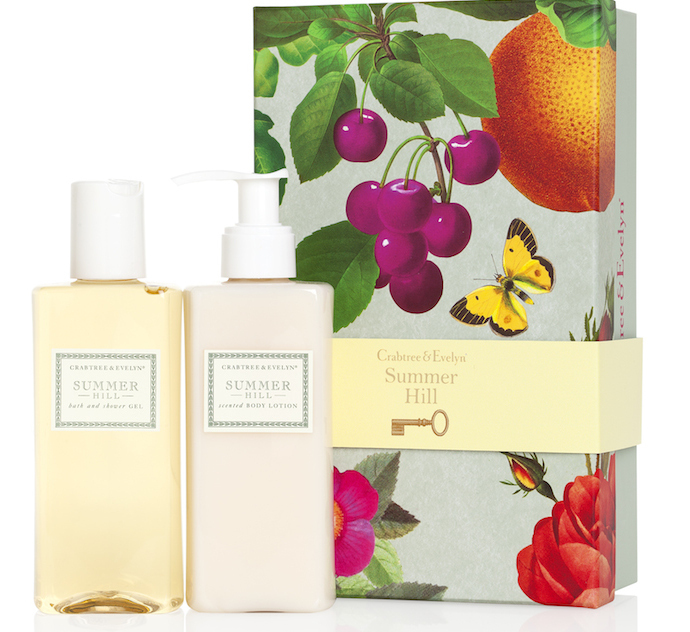 Keeping fresh and smelling nice in the summer at all times is hard work as the heat and humidity get worse so I love coming across new things that make you feel good and smell nice – the Crabtree and Evelyn’s new Summer Hill collection may just be the answer as it promises to whisk you away with its irresistible and cheerful scent. The Summer Hill collection is touted to be light, sensuous and full of promise, capturing the warmth and glow of a May afternoon. Add a dash of summer sweetness with this new flirtatious summer must have as the accents of freshly mown grass and ripe orchard fruits mingle with the notes of fresh white florals in bloom. 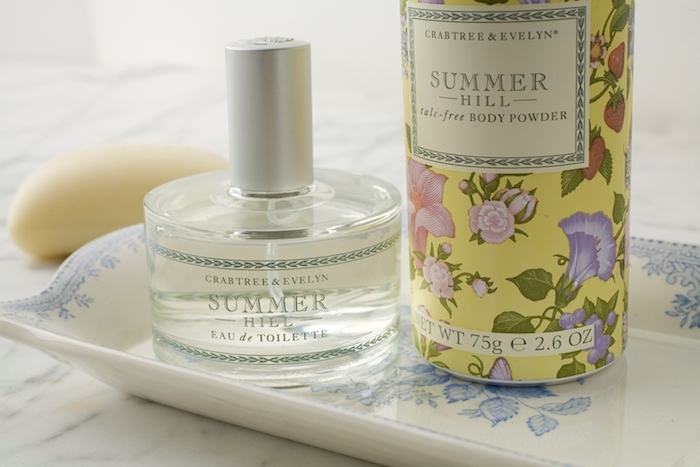 The effortlessly pretty scent and refreshing combination offers luxurious conditioning, cleansing and essential moisturising to cleanse, soften and leave skin scented with Summer Hill. We know that lazy summer days require an equally effortless beauty regime so check out the skin care range which is deliciously fragrant with its subtle scents of wildflowers, grasses and freshly plucked fruits. The collection includes body lotion, bath and shower gel, bath soap, hand cream and lasting fragrances. Have fun experimenting and smell awesome right through the summer.